After a delay in starting its review of Biogen’s spinal muscular atrophy drug Spinraza, NICE has further disappointed patients and carers by rejecting the drug in draft guidance. Spinraza (nusinersen) is the first and so far only drug for the often-fatal genetic disease, but despite approval last year NICE’s review was held back by deliberations over the best way to handle the drug. The sticking point has been its list price of around £75,000 per dose excluding VAT - it is administered in four loading doses every two weeks, followed by maintenance doses every four months. At that price the total annual treatment cost is £450,000 for the first year and £225,000 for subsequent years. In a statement, NICE said that the evidence showed “a substantial benefit for nusinersen”, but pointed to “significant uncertainties, particularly around its long-term benefits” that made it hard to justify its “extremely high” price. NICE says that Biogen has indicated it will develop a proposal for a managed access programme for nusinersen along with patient groups and other stakeholders that will “reduce the financial risk to the NHS.” That’s something that is extremely unusual outside the Cancer Drugs Fund (CDF) or NICE’s highly specialised technologies programme, it notes. The decision has been described as “devastating” by Muscular Dystrophy UK, which is coordinating the response with support from SMA Support UK and The SMA Trust. It is calling for a temporary scheme so patients can access the drug while evidence is collected on its long-term benefit. NICE is open to the idea of a temporary managed access agreement (MAA) but according to the charity has described proposals from Biogen as “vague” and “currently insufficient”. The agency has also said that any MAA would still require the cost to be within a range that could be considered cost effective. “We call on NICE, NHS England and the drug company, Biogen, to urgently come together and find a solution to provision and pricing so families can get Spinraza before more lives are lost,” he added. As it stands, in England, Wales and Northern Ireland, children diagnosed with SMA Type 1 – the most serious form of the condition – can access the treatment through a temporary programme set up by Biogen in 2016. However, there are no guarantees this scheme will continue indefinitely. 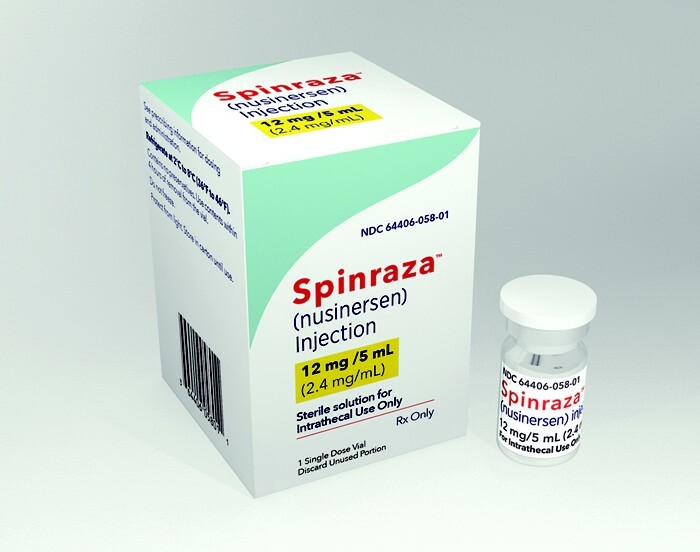 In Scotland, Spinraza has been available on the NHS for children with SMA Type 1 since May, but children and adults in the UK with all other types of SMA do not have access to the drug.